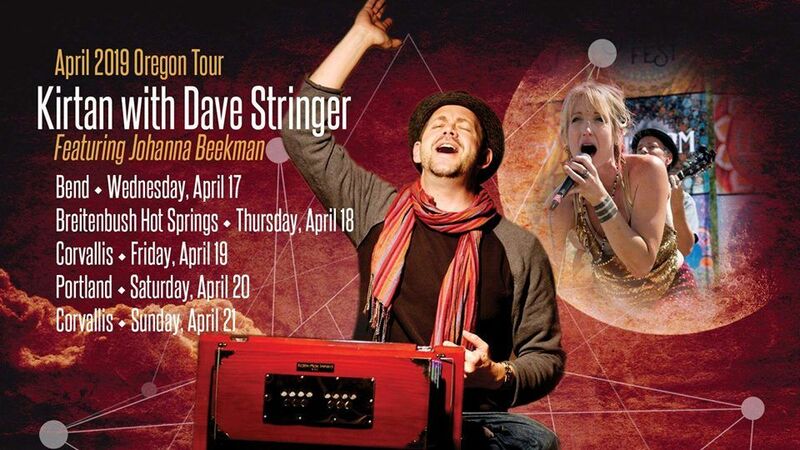 Come experience the shared heartbeat of kirtan and devotional singing with Dave Stringer, Johanna Beekman and Kat Macmillan. Their unforgettable songs will open your heart and inspire you on your journey long after the last note fades into silence. Dave Stringer is a Grammy nominated record producer and composer who has been widely profiled as one of the most innovative artists of the modern Yoga movement. 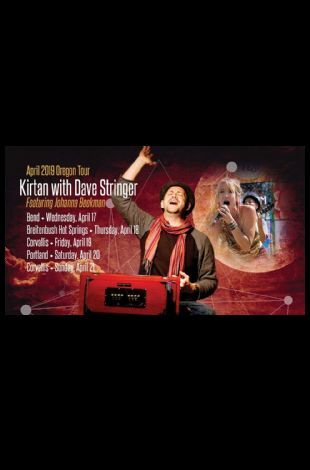 He's both an inspiring singer and a captivating public speaker, resolving neuroscience, yoga philosophy and music into a participatory theatrical experience. Stringer's sound invokes the transcendent mysticism of traditional Indian instruments with the exuberant, groove-oriented sensibility of American gospel and the ringing harmonies of Appalachia. He is featured in the upcoming documentary films Mantra: Sounds Into Silence and The Power of Mantra and has toured extensively, leading concerts, workshops and retreats all over the world.